Prepare to increase all of your big lifts by 5-10 percent with this specialized 12-week approach to building strength for beginners! The first time is always worth remembering. Whether it was the first time you benched 225 pounds, set a new PR on the squat, or even the first time you had to buy bigger jeans because your thighs got too big, the feeling of conquering new challenges propels you to keep driving for continued success in the gym. But continued gains don't just happen by accident; in fact, they quickly stall once you pass beginner status. And that makes this precisely the right time to begin your first strength phase. So, ladies and gentlemen, it's time to get strong—Hercules, Hulk, human-crane-type strong. Follow these simple steps to build your own surefire strength routine! 1. Work up to a heavy set of 3 and approximate. You should be able to lift 90 percent of your 1RM for 3-4 reps. So if you can do 225 pounds for 3 reps, divide 225 by 0.9. Your 1RM is roughly 250 pounds. Simply test your 1RM by working up to the heaviest single that you can lift without complete form breakdown. Plan a week of testing and test each lift on a different day. Whichever method you choose, knowing your maxes allows for two pivotal training processes: setting realistic goals and planning your training loads. "Knowing your maxes allows for two pivotal training processes: setting realistic goals and planning your training loads." A typical strength cycle lasts 12-16 weeks. Gaining 5-10 percent on your maxes during a cycle is typical for a beginner, so if your best bench press is currently 225 pounds, we're looking to move the bar to 235-245. However, gains don't continue at this rate indefinitely. As the training years accumulate, each pound added to the bar is a hard-fought victory. Consider this as you set your first round of goals: shoot to increase your lifts by 5 percent. Maxes are also used to select training loads. Take your absolute max—the number you just acquired via testing—and decrease it by 5-10 percent. This is your training max. It's different from the absolute max to ensure that you plan enough quality training volume without overtraining. The goals here are more quality reps without going to failure, appropriate loads that your body adapts to, and better lifting technique. Being a newcomer to strength-specific training dictates a practice-first strategy. It may be against our nature as physically driven humans to dial back and master the basics, but that's precisely what a lengthy training career requires. Go balls out at the beginning and you'll have a blast—for a little while—before your training collapses face first. That's because you won't acquire the requisite skills to progress without ruining your body and its ability to adapt to heavier training. Focus on learning the lifts—squat, bench, deadlift, and overhead press—early on and you'll consistently get stronger during your training career. Don't hyperfocus on your one-rep max: it has its purpose, but it doesn't predominate the process. Commit to growing into a skilled lifter. Thanks to the Internet, there's an endless multitude of experts who provide programs from which you can choose. Avoid them. Westside is alluring and Smolov squat cycles have a challenging attraction. But they're complicated, requiring a huge training base—fitness and skill—and you don't need them right now. These are, of course, only two examples of many, many complicated programs out there. The current mandate is simplicity. Sets of 5 in the 70-85 percent range and sets of 3 in the 75-90 percent range are perfect for your main lifts. Assistance lifts employ sets in the 5-8-rep range, keeping a few reps left in the tank at the end of each set. Since this is not bodybuilding, you're not going to muscle failure. Multijoint lifts are done with barbells, dumbbell, and kettlebells. There's no place for machine training and very little room for single-joint training in absolute strength development. It's simply wasted training volume. 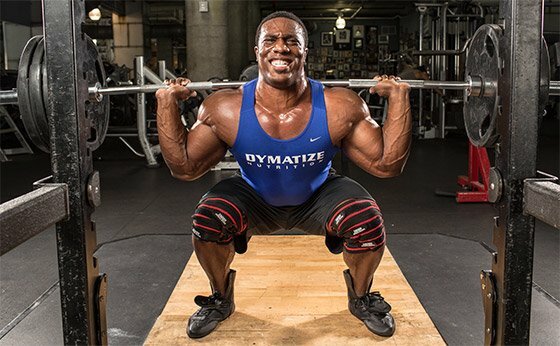 The deadlift and its variations: rack pulls, Romanian deadlifts, and sumo deadlifts. The bench press and its variations: incline bench presses, floor presses, and dumbbell bench presses. The squat and its variations: front squats, box squats, goblet squats. The overhead press and its variations: seated military presses, dumbbell overhead presses, kettlebell overhead presses. Putting together a routine should be fairly simple. Use a full-range deadlift, bench press, or squat as your main lift, doing sets of 3 or 5, and select a variation of each as your assistance exercise (e.g., rack pulls with deadlifts, floor presses with bench press, front squats with the squat, and so on). Many new to absolute strength training mistakenly apply their general fitness or bodybuilding habits to their strength regimens—and that means they plan too many exercises and too much volume. Strength development is increasingly nervous-system intensive, unlike its bodybuilding counterpart that mostly taxes the musculoskeletal system. This means you must plan less volume for strength development; if you try to match volume with a bodybuilding program, you'll short-change recovery and could eventually regress. There's no magic formula for determining the exact number of exercises, but it lies somewhere in the 3-6 range. There's variation because it depends on several factors: for one, whether you're planning an upper-body session, a lower-body session, or a full-body session. You must also consider the intensity, or percentage of 1RM, you're training at during a session. Heavier sessions—that is, those with higher intensities—require reduced volume. Lighter sessions and upper-body sessions can contain more volume. The load on the nervous system isn't as great, making recovery less of an issue. As a general rule, pack more volume on upper-body days than lower-body days. When in doubt, however, choose lower volume. The program below is predicated on a four-day split, but the actual number of days you train may well be determined by your schedule. The four-day split works well because it follows an upper-body/lower-body schedule. Before you begin lifting, remember your goals: Shoot for numbers 5 percent above your current maxes. Once you've penned your goals, plan backward from the date you'll achieve them—it should be about 12 weeks from your program start date—and progress through sets of 5 and 3, increasing overall intensity—using heavier weighs for fewer reps—as the weeks progress. "Before you begin lifting, remember your goals: Shoot for numbers 5 percent above your current maxes." A month's worth of 5-rep sets on your main lifts is a solid place to start. Month 2 intensifies with sets of 3 reps. Month 3 finishes with sets of 3 on Week 1, 5s on Week 2, heavier 3s on Week 3, and then Week 4 is a test week. Remember that starting light is never a mistake, and enhancing your skills (technique!) is your current focus. Choose the big lifts, set goals, plan, and get to work. You'll take a strong first step in a lengthy strength journey! This hybrid program combines the best elements of strength and hypertrophy into a single 8-week program for incredible gains in strength and size! Build More Muscle With These Advanced Strength Techniques! You don't always have to choose between training for size or strength. 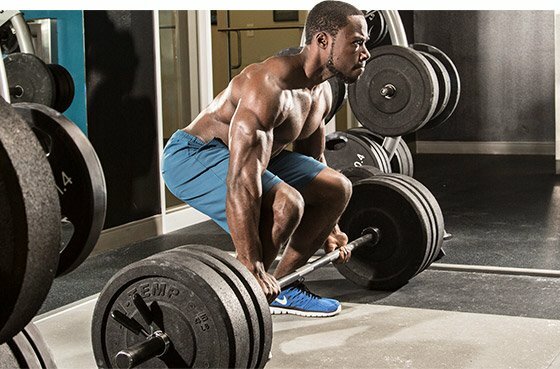 Instead, use these advanced strength-building techniques to maximize your size gains!